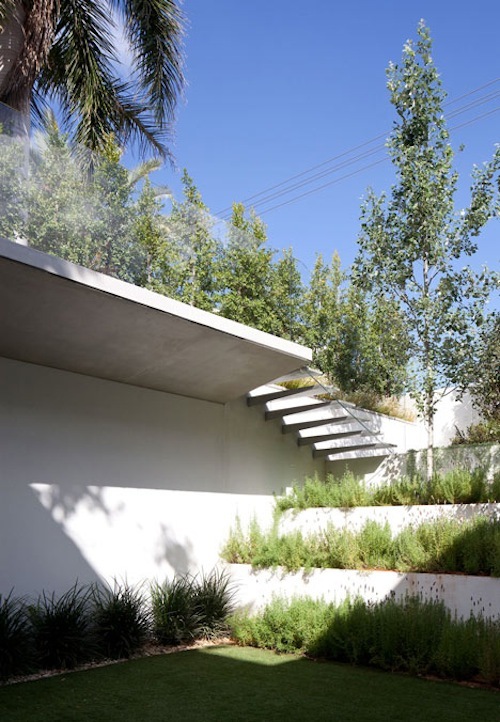 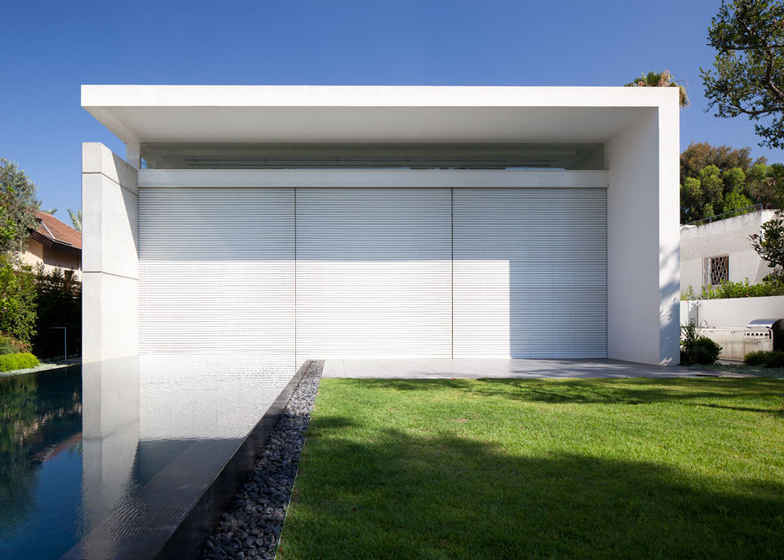 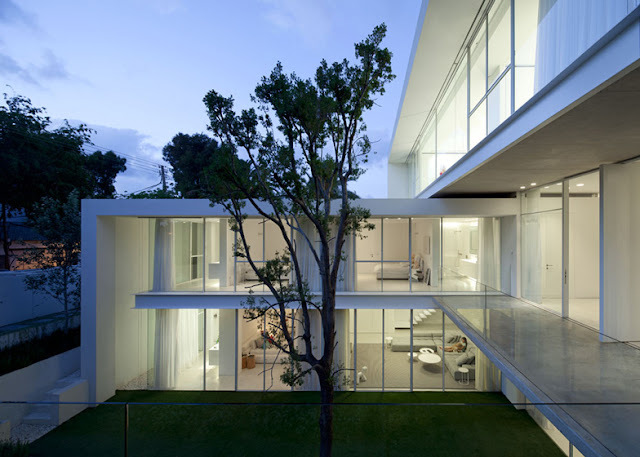 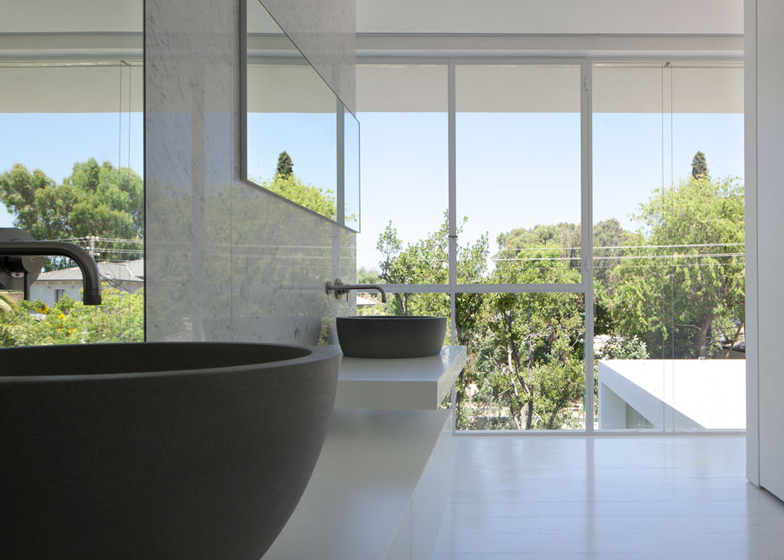 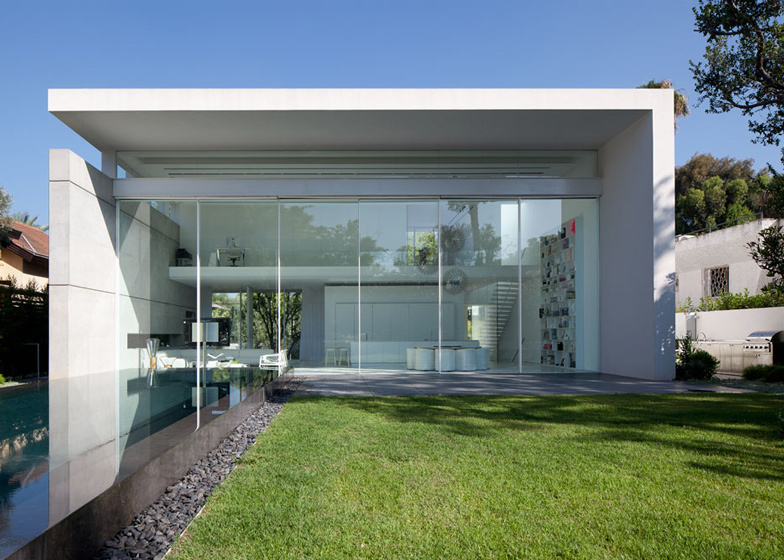 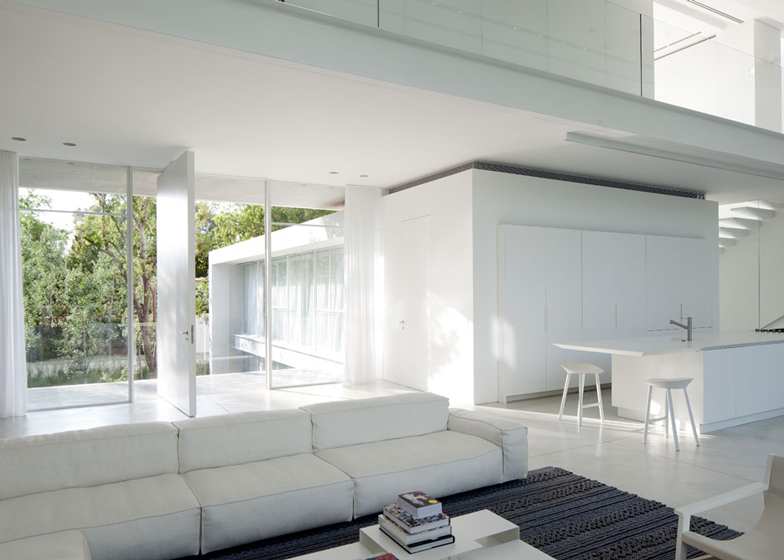 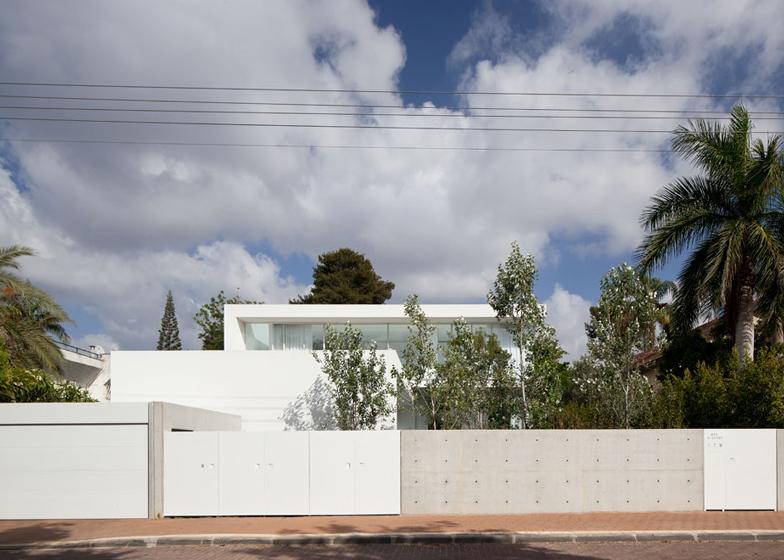 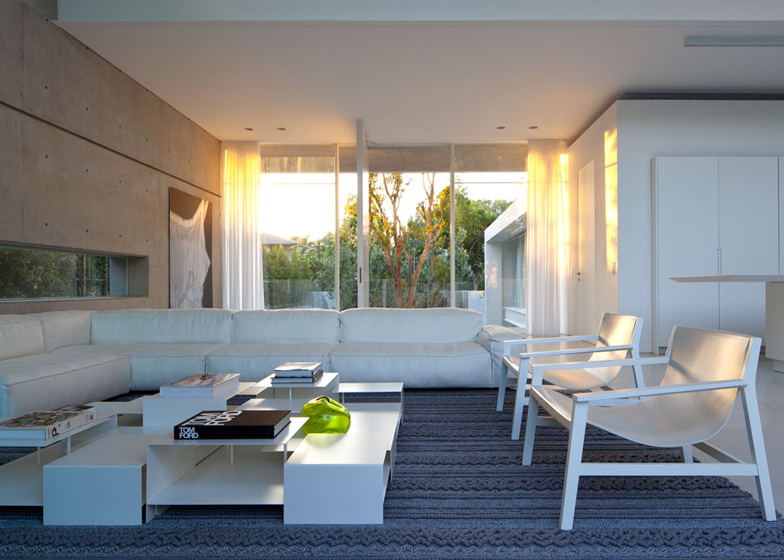 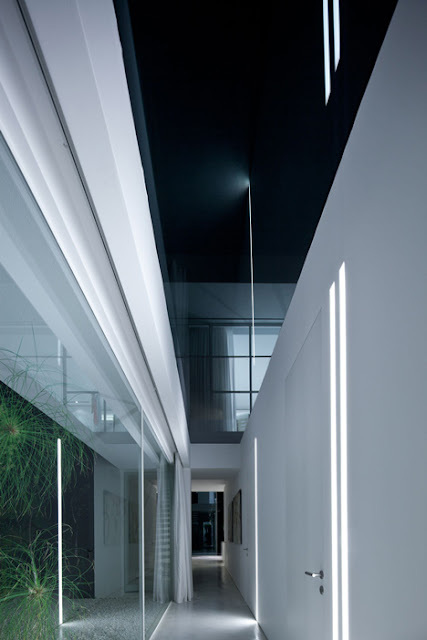 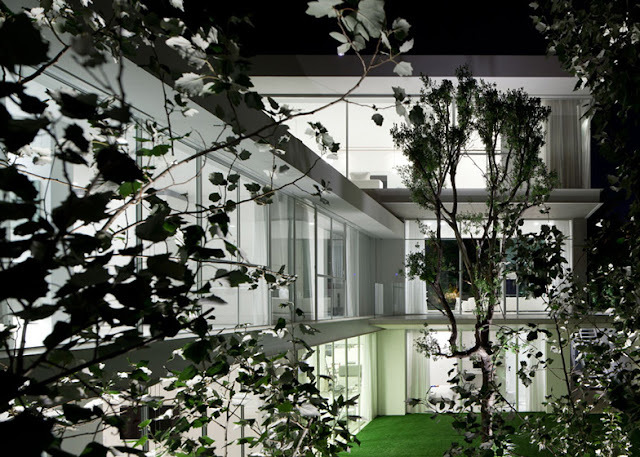 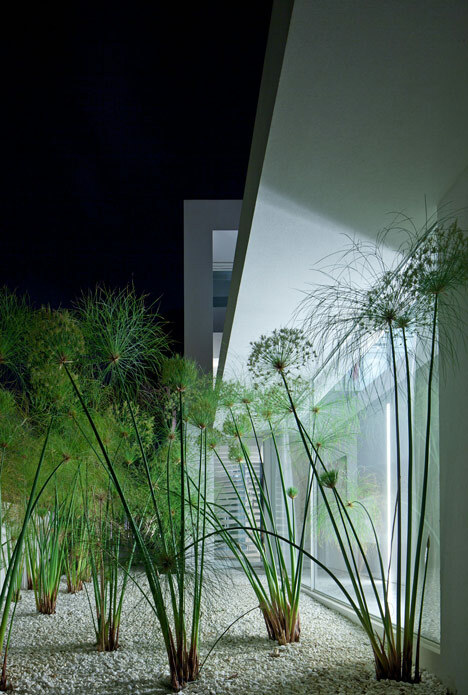 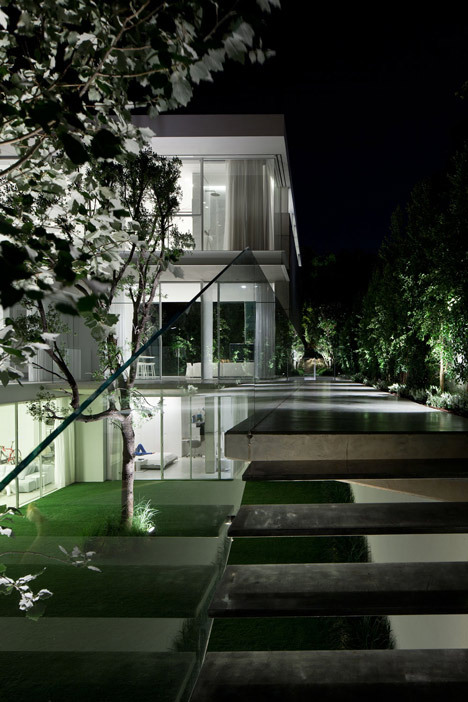 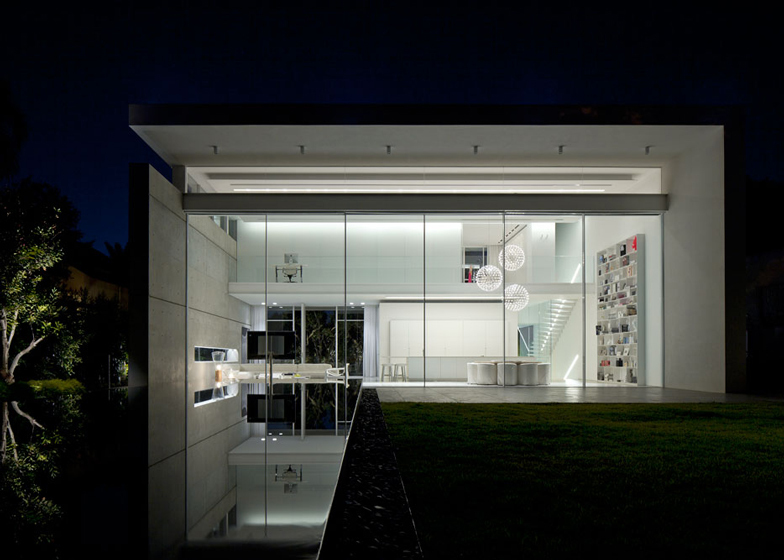 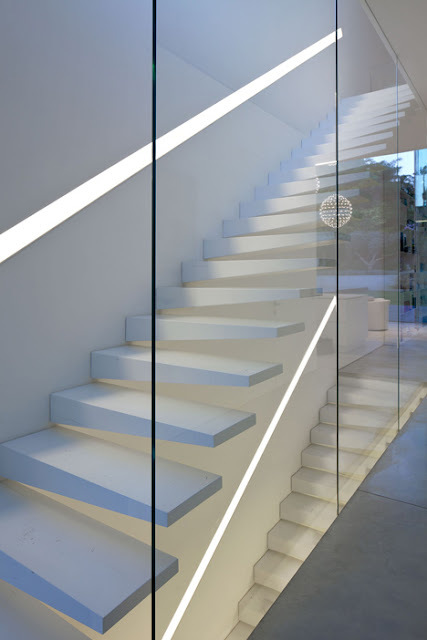 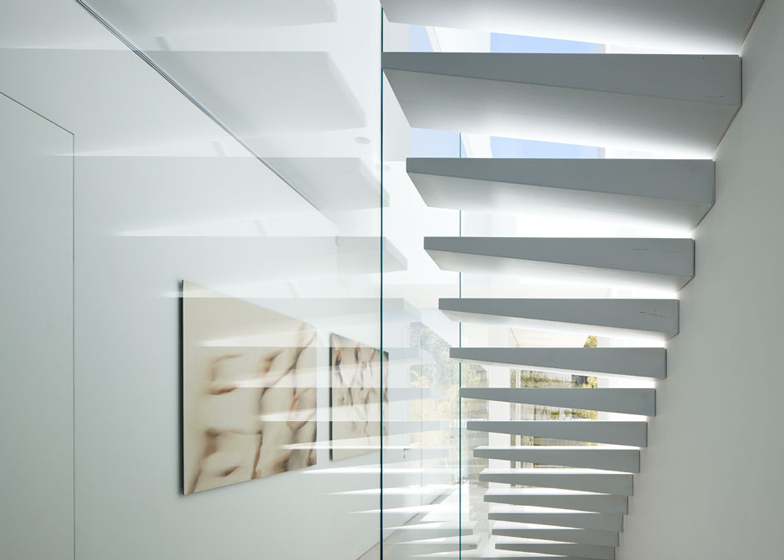 This house in Ramat Hasharon, Israel, is another paradigm of clean lines and white minimalism by Israel-based architect Pitsou Kedem. 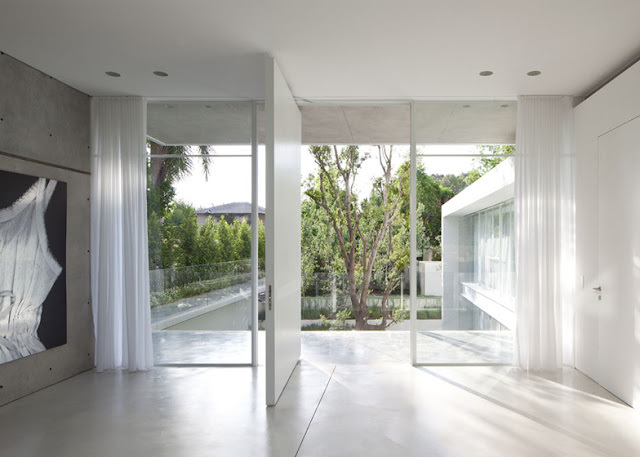 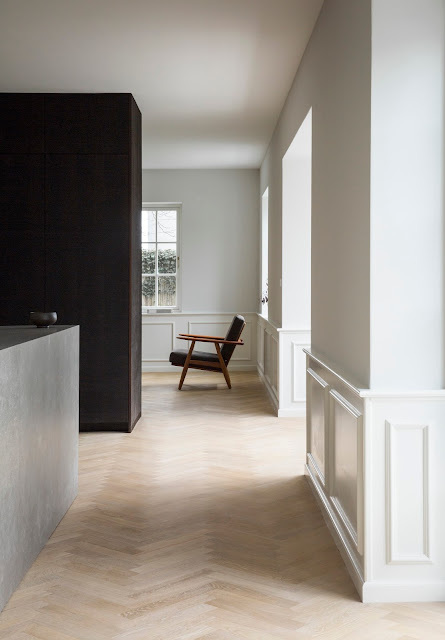 The open plan layout of the house opens in two outdoor spaces, receiving daylight from both east and west and enjoying views to the greenery of the courtyards. 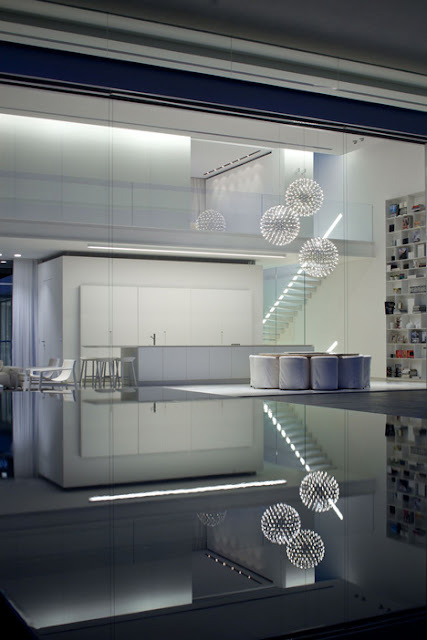 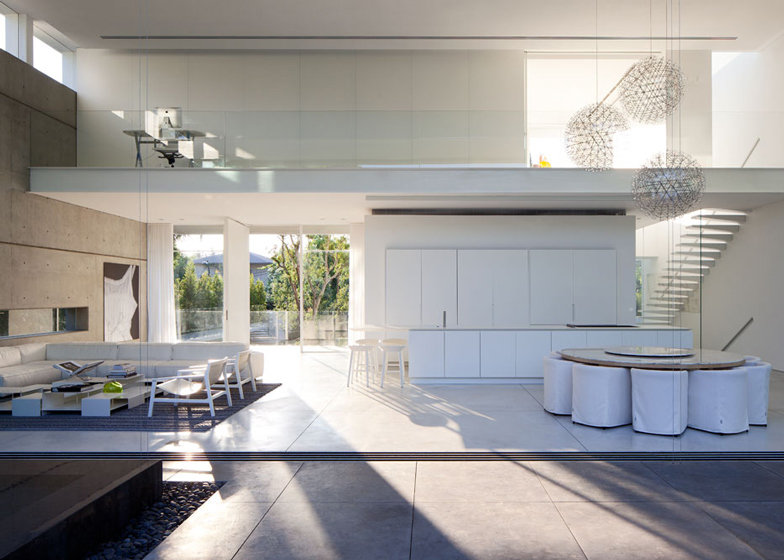 One side can be totally open, featuring double-height glass doors that slide back to open up the entire facade, where a long linear swimming pool extends to the back garden.